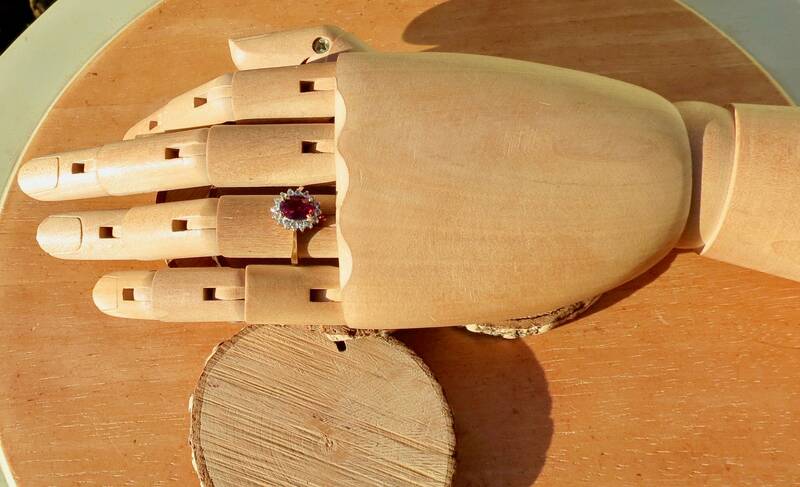 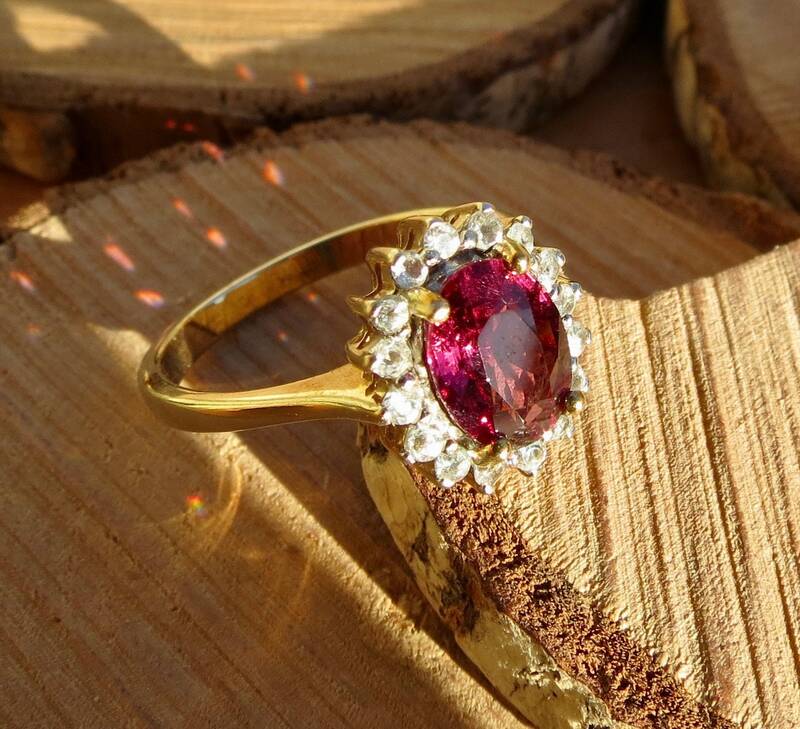 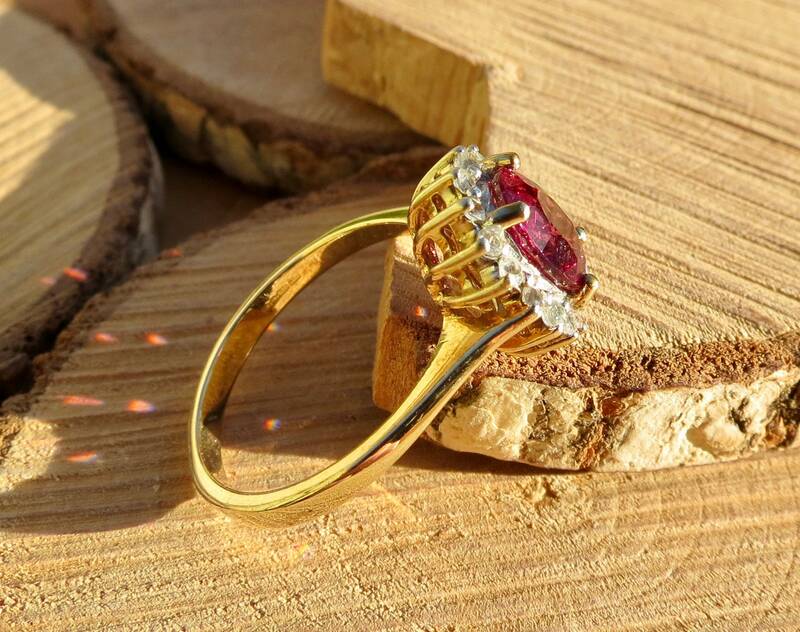 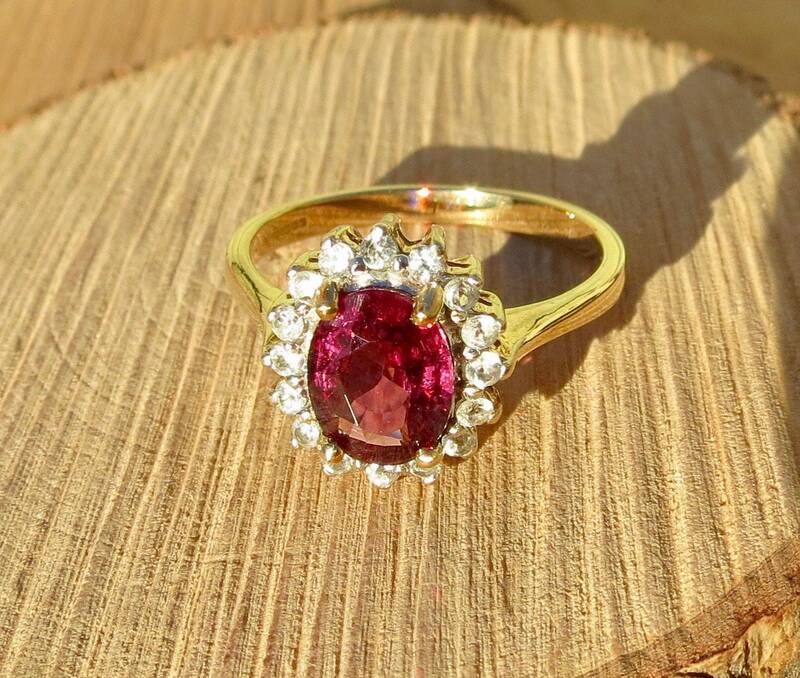 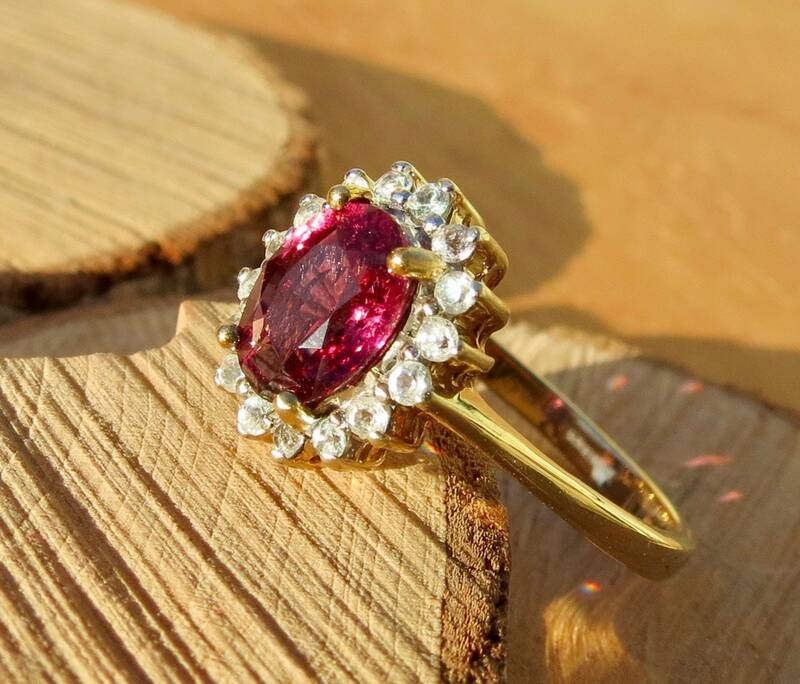 A 9k yellow gold ring with a oval cut red rhodolite garnet set with a halo of white topaz. 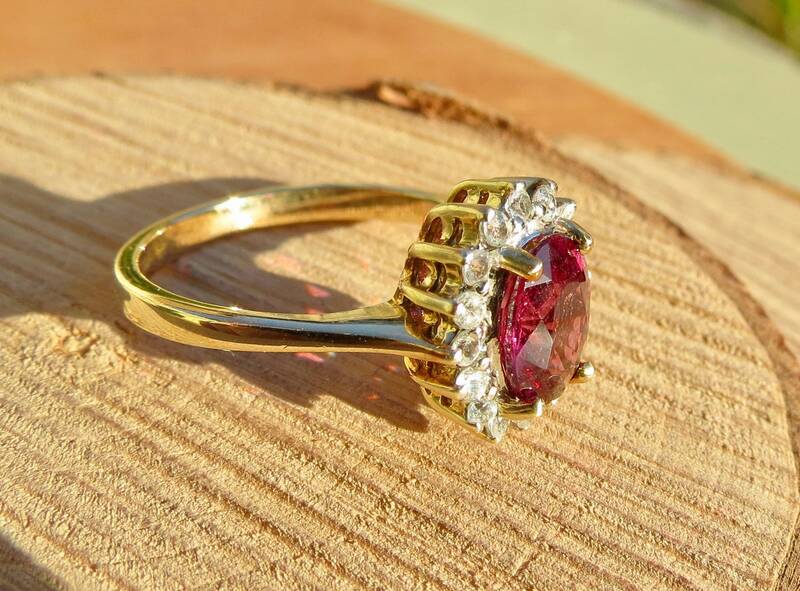 Full gallery leads to a plain band. 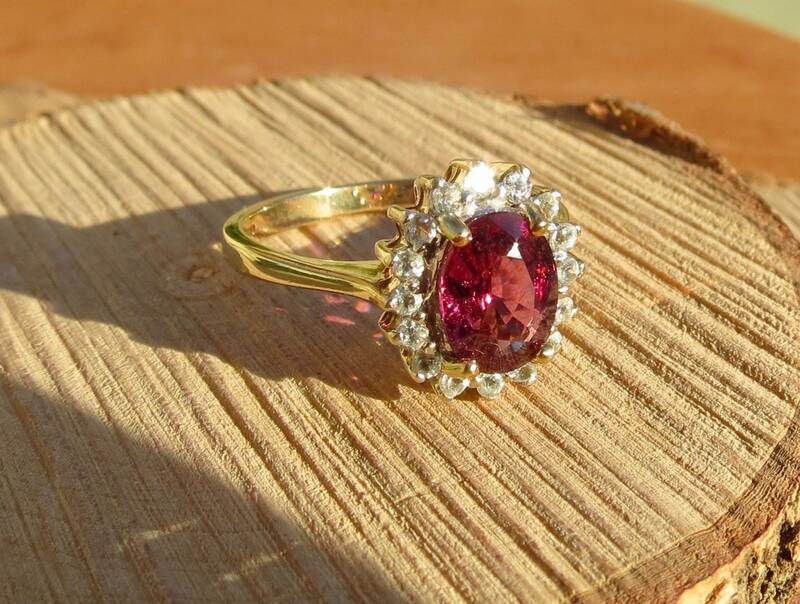 The stone is in mint condition and rich in colour. 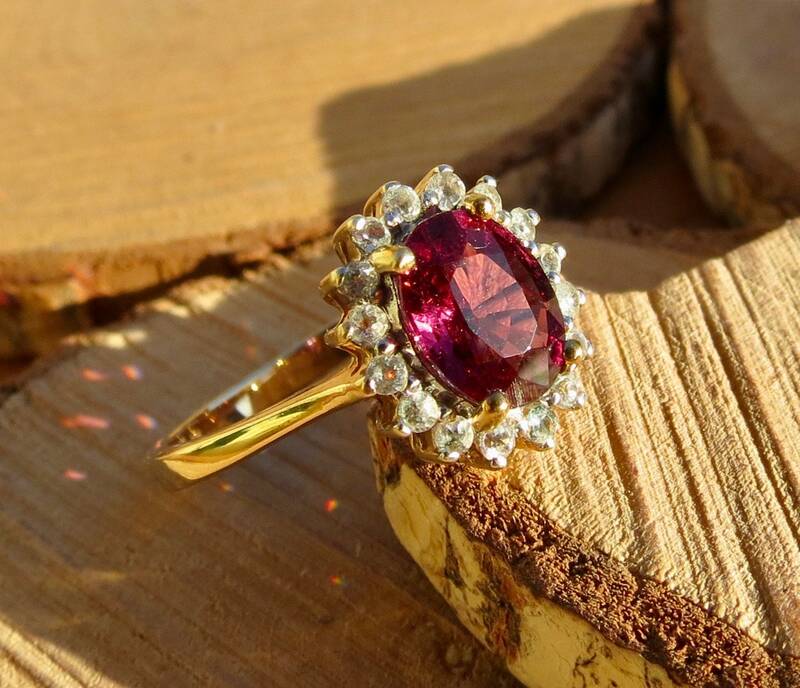 Rhodolite garnet is a raspberry-red, purplish-red or coloured garnet. 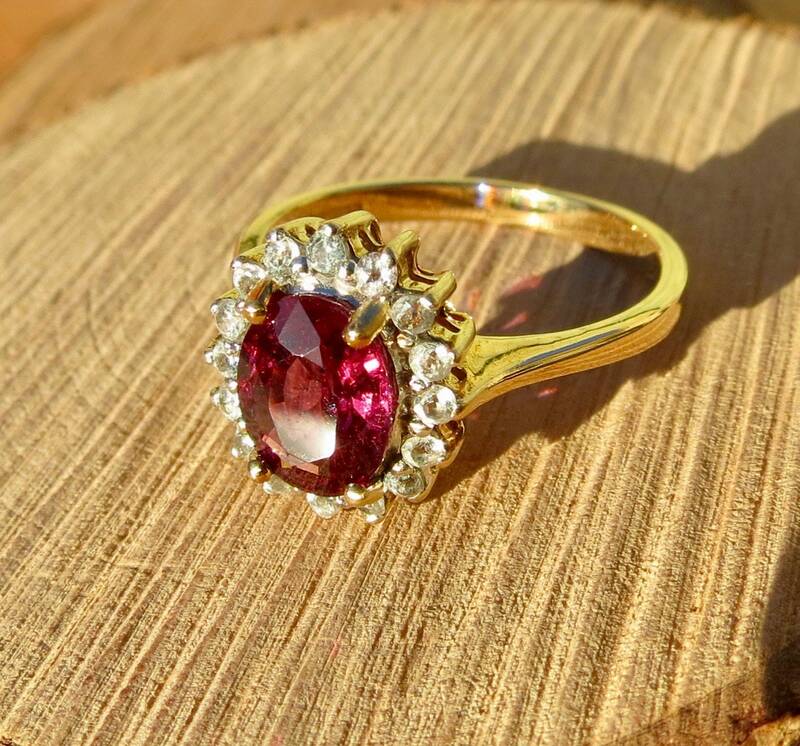 It is a mix of pyrope and almandine in composition.